The Islamic Bank of BitCoin brings Islamic banking to the BitCoin world (Wikipedia article on Islamic Banking link Christian banking in Europe also prohibited interest (Usury) being charged on loans until the Renaissance once Italian banking familys realised they could make more money from doing loans in Arabic numbers with interest instead of using the commonly used Roman numerals at the time with a fee.) Anway IBB does not charge fee's on loans or even late payment fee's but does accept gratitude payments and donations. IBB also invests in other BitCoin businesses as well. They pay monthly dividends which have continually grown since there first issue in August 2011. The last issue of dividends was 0.0103BTC per share and with a current share price of 0.42BTC per share that's not bad going. The current thirty day traded volume is 168 shares valued at 52.24BTC. spreading its wings and growing fast. Your write up is a great example. """Are you thinking about investing in Bitcoin? 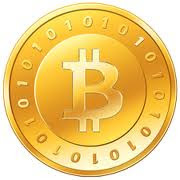 """""""Are you thinking about investing in Bitcoin?